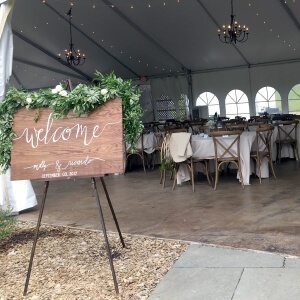 For over a quarter of a century Beefalo Bob’s has been perfecting the art of catering, providing the finest quality foods and catering services in Maryland and the surrounding areas. Whether catering for 10 or over 10,000, we guarantee the same level of professional courtesy and service. Unlike most caterers, Beefalo Bob’s cooks and slices pit beef, pit ham, pit turkey, and other bbq meats fresh on site. mouthwatering flavor that keeps everyone coming back for more. Catering since 1983, Beefalo Bob’s has been your original ONE STOP SHOP for all your catering and event needs. We cater all across Maryland, Virginia, West Virginia, Delaware, Pennsylvania, New Jersey, and Washington D.C.
Local pickup catering in Maryland available for Pasadena, Glen Burnie, Baltimore, Riviera Beach, Jacobsville, Lake Shore, Ferndale, Linthicum, Brooklyn Park, Dundalk, Edgemere, Essex, Baltimore, Catonsville, Arbutus, Elkridge, Hanover, Severn, Odenton, Arnold, Annapolis and more. Say “I DO” to BBQ! Our experienced professional caterers can make your dream event a reality. From carving stations and passed hors d’oeuvres to formal event rentals and custom wedding cakes, our staff has everything you need to create an event to remember. Are you planning a wedding or formal event? Find more information here. This beautiful facility features seating for up to 250 people and is decorated with chandeliers, a fireplace, and gold accents to add to the ambiance of your occasion. We cater all types of events in Reflections Banquet Hall and our menus are custom designed to ensure the satisfaction of you and your guests.